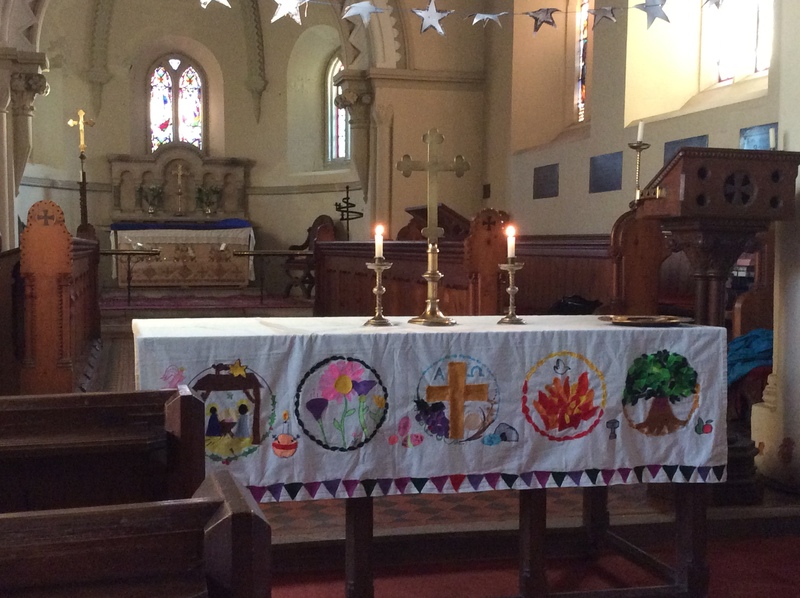 We hope you like the new altar cloth that the children designed and created, and is being proudly displayed in Pencombe church. The children looked at examples of altar cloths from around the world and discussed the meaning of the symbols which are commonly used. The Tree of Life, Spring Flowers, A Baptismal Font, Easter Eggs and An Angel.